American Gods is one of the best books I've heard on Audible, and I didn't expect Anansi Boys to live up to that. It's far less ambitious in scope, but that turns out to be a strength, not a weakness. Despite being about corporeal gods, Anansi Boys is a very human story about what it means to become a whole person. It's also very nice to see a story involving mythological characters _not_ drawn from the Norse, the Greek, or the Romans. 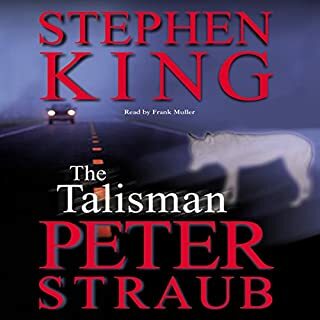 The narrator does an extraordinary job; I'll have to seek out more of his work as well, even if he isn't reading someone I'm familiar with. Incidentally, it's not necessary to have read American Gods first. 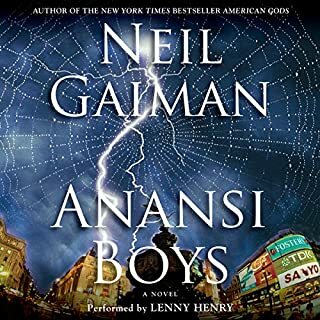 I recommend reading/listening to both, but if you're trying to decide between one or the other, the tight focus and deeper character development make Anansi Boys stronger of the two, and it stands just fine on its own. Does this book never end? I love King's books, Frank Muller's other readings, and books longer than 20 hours long. But this book just would not end. The story is overwhelmed by descriptive passages, restatements and rerestatements and rererestatements of theme, and frequently sappy dialogue. The story itself is interesting, but the book could have stood significant editing prior to publication; as it is, the book reads more like parody of King than anything else. Former right-wing journalist David Brock uses his keen understanding and experience to show how a conservative media has skewed American politics noticeably to the right. 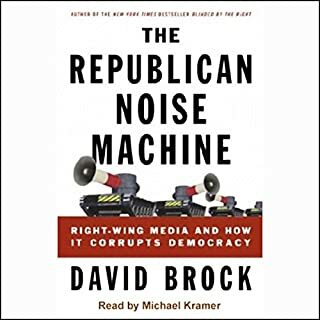 Brock's incisive analysis of right-wing media theories, strategies, financing, and operations makes for a convincing argument that the Republican Right does not embrace or encourage journalistic freedom, but instead seeks to control it. 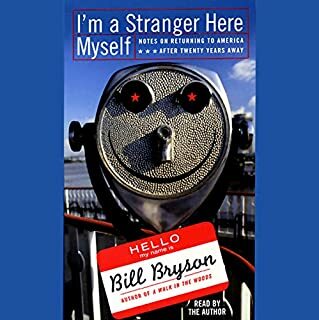 After living in Britain for 2 decades, Bill Bryson recently moved back to the United States with his English wife and 4 children (he had read somewhere that nearly 3 million Americans believed they had been abducted by aliens - as he later put it, "it was clear my people needed me"). They were greeted by a new-and-improved America that boasts microwave pancakes, 24-hour dental-floss hotlines, and the staunch conviction that ice is not a luxury item. I wouldn't go so far as to say "worst book," but this one was pretty disappointing. I'm a big fan of Bill Bryson, but this book -- which is a collection of newspaper columns -- seems choppy and gets more than a little formulaic. Practically every one ends with "Now, if you'll excuse me, I must go (do something related to what I was just talking about)," something you can get away with, I suppose, as long as people aren't reading a string of your columns at once. It's clear Bryson is more comfortable with and much better at the longer format. Author of the beloved classic The Thorn Birds, Colleen McCullough creates sweeping sagas that are unparalleled in their drama and emotional grandeur. Now she carries listeners into the pageantry and passion, politics and intrigue of ancient Rome. 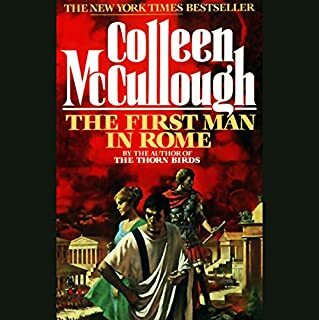 Cunning and ambition were prized in this vast and powerful empire, but what would it take to win its highest honor, to be First Man in Rome? Interesting book, and I'd bet others in the series if they were available, but this *is* one of the more difficult books to digest in this format. Not only are there many characters, but each character has a multitude of names -- and which name is being used when seems to be kind of important. The reader also takes some getting used to. She pauses to carefully enunciate names and also seems to take extended pauses at inappropriate points in the story so what you thought was a chapter break is actually a comma. I don't regret this choice, but it did take quite a bit of effort. It's 1999, and on the Turkish half of Cyprus, the ever-enterprising Leggy Starlitz has alighted - pausing on his mission to storm the Third World with the G-7 girls, the cheapest, phoniest all-girl band ever to wear Wonderbras and spandex. His market is staring him in the face: millions of teenagers trapped in a world of mullahs and mosques, all ready to blow their pocket change on G-7's massive merchandising campaign - and to wildly anticipate music the band will never release. This book does its own literary criticsm, which would be interesting if the work actually rated literary criticism. 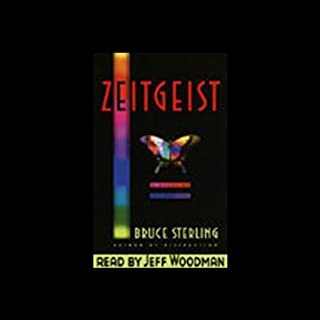 Instead, _Zeitgeist_ stumbles under the weight poor storytelling and dozens upon dozens of buzzwords from modern philosophy and Internet-bubble technology. On one hand, this book offers an interesting view of Chicago during the turn of the century and gives interesting insights into the issues that shaped modern American architecture. That's the "white city" bit. But the other part of the book -- the "devil" bit -- is poorly written and not nearly as detailed as the architectural history section. On the topic of "America's first urban serial-killer," Larsen offers little in the way of scholarship. He makes a big deal out of insisting that everything in quotation marks is accurate, but makes no such claim for anything else. He also judges the "likelyhood" of certain parts of the story based upon his own judgement of how monstrous serial-killers are in general. He does not create a "portrait of the mind of a killer" but a portait of how we would like to think a demon-posessed killer would think. For a better story about the mind of a murderer, check out _Under the Banner of Heaven_. The serial killer part of the story never sufficently intersects the White City part of the story to justify the inclusion of the two narratives between the same covers. 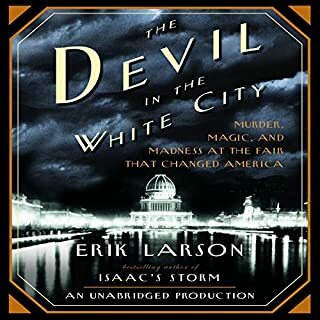 It feels tacked-on, as though Larson felt a story about the building of the White City alone would not sell. 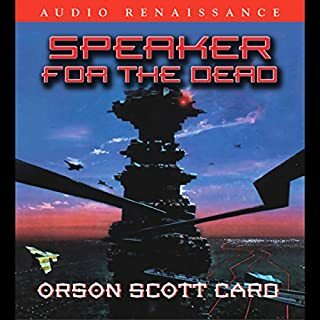 Brick's reading of the book is excellent, but his talent is wasted on this relatively narrow story; he doesn't get to show off his skill with accents nearly as much here as he does in _the Company_. This is very well-written book is more than just a book about a couple of murderers -- to tell the story properly. 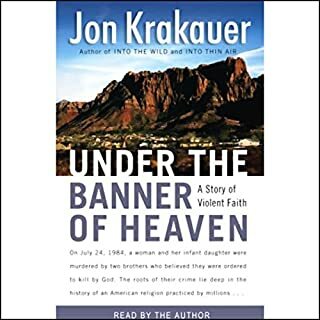 JK goes to great lengths to put the murders in the context of the FLDS Church, and raises disturbing questions about how far the seperation of church and state can really be allowed to go. He certainly brings up some issues I had never considered. The narrator is very good, although the narrator is perhaps occasionally over-emphatic. For example, it would have been nice to hear the word "any" said a few times without emphasizing both syllables ("N-E"). Overall a great reading of an engrossing novel. The production features multiple readers. Different voices take a little while to get used to, but are ultimately a great aid to the novel's many viewpoints. The one exception is the woman who reads from Novenia's viewpoint; her overly-dramatic, breathless, bodice-ripping delivery -- where every emotion is magnified to characiture and every minor plot developemt is. delivered. with. excrutiating. solemnity. and. weight. is more of a jaw-clenching distraction than an accurate reflection of the text. Don't let her delivery turn you off, however. Fortunately there several other readers, both male and female, who more than make up for this annoyance.